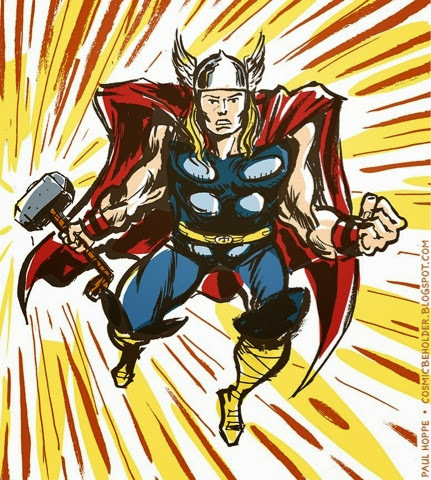 Been reading some vintage Thor comics lately, so I give you: Vintage Thor. If you'd like to see Jesse and her friends in color, visit the Beholder tumblr! 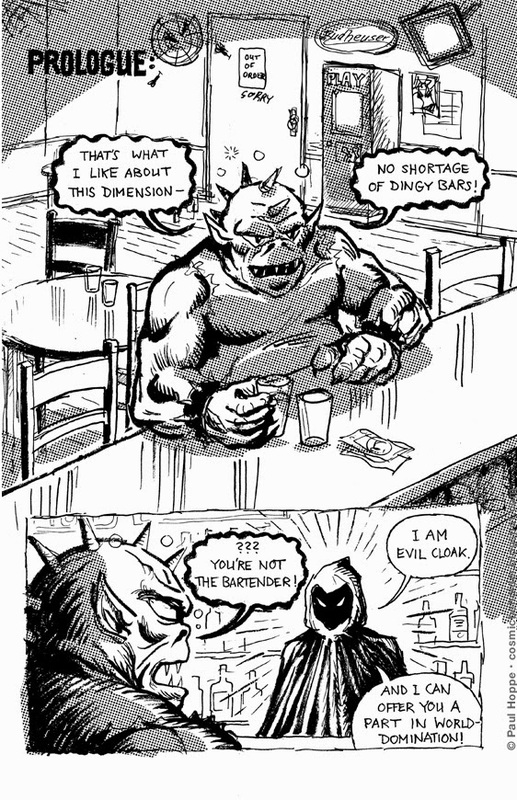 On his endless quest through the universe, THE BEHOLDER has encountered the Deadliest Woman in the Universe! 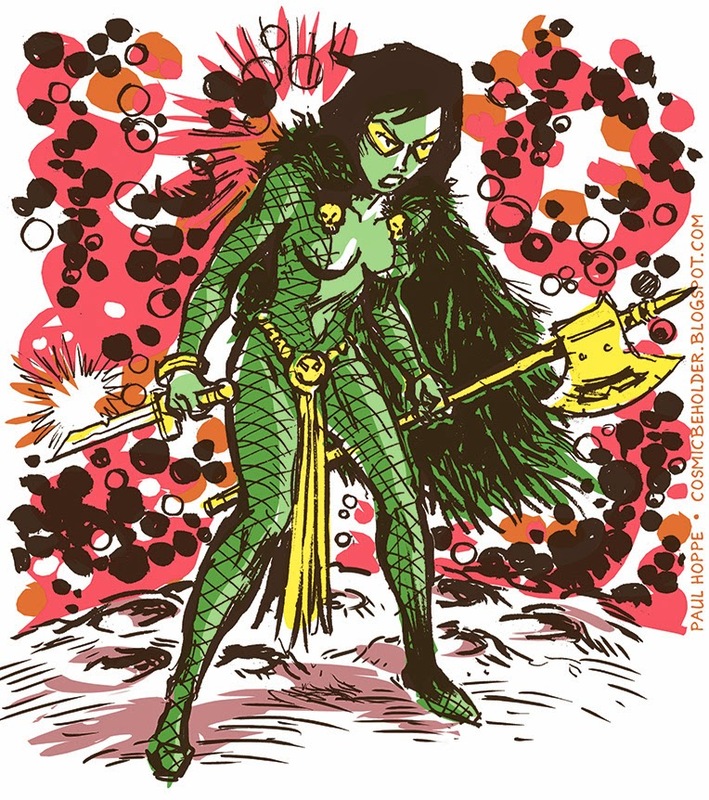 Gamora in her original look, when she was part of Warlock's Infinity Watch and various projects by Jim Starlin. Nowaday's she's of course much more know for being a member of the Guardians of the Galaxy. To share on tumblr, please use this link. 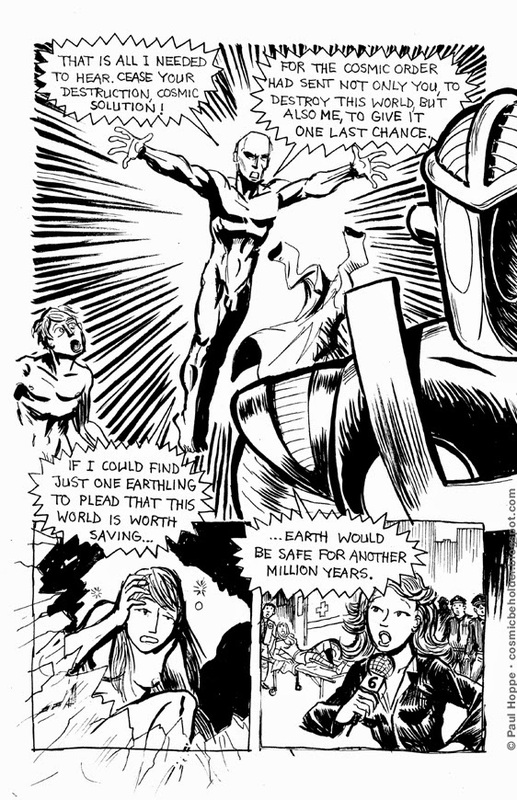 Again, the first appearance of Red Vicious was in TTB2! This is it! Tales To Behold 4 begins today! Remember this demon guy from TTB 2? 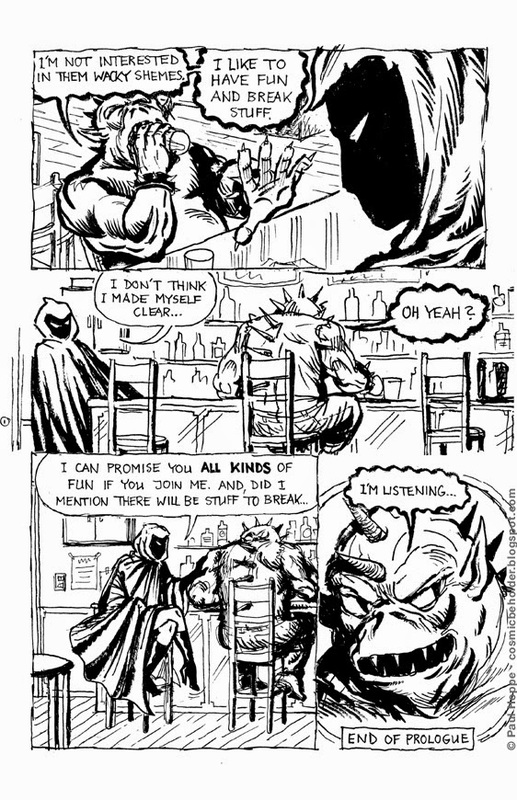 Also, the first appearance of our mysterious hooded villain was in that very chapter! 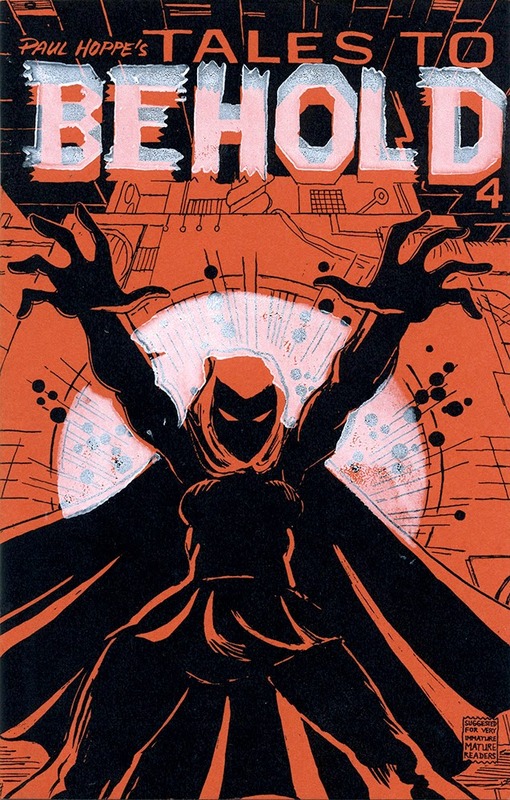 The next chapter in the is about to begin here on THE BEHOLDER: It's Tales To Behold Book 4! Finally we're getting back to the (mis-) adventures of Captain Evening and The Odds, featuring Jenny Everywhere, Merv the Griffin, Armstrong Fatbuckle the Worst Man in the World, The Blue Knight, and, making her debut at the side of our intrepid adventurers– Centennia, the most powerful hero of the Beholder world! As our odd friends find their latest member, the mysterious Evil Cloak is secretly recruiting their enemies for some unknown purposes. Find out what it's all about, twice-weekly here on THE BEHOLDER! 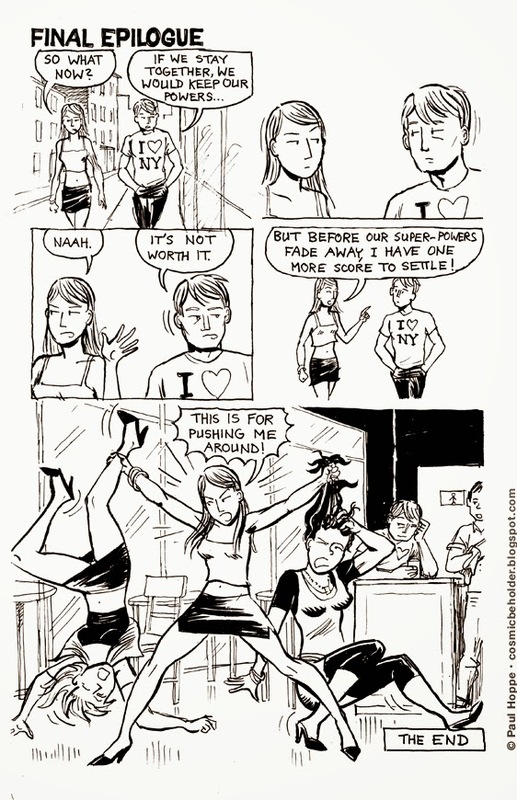 Or, you can also read the comics as finely hand-crafted zines, available through BirdCageBottom Books! 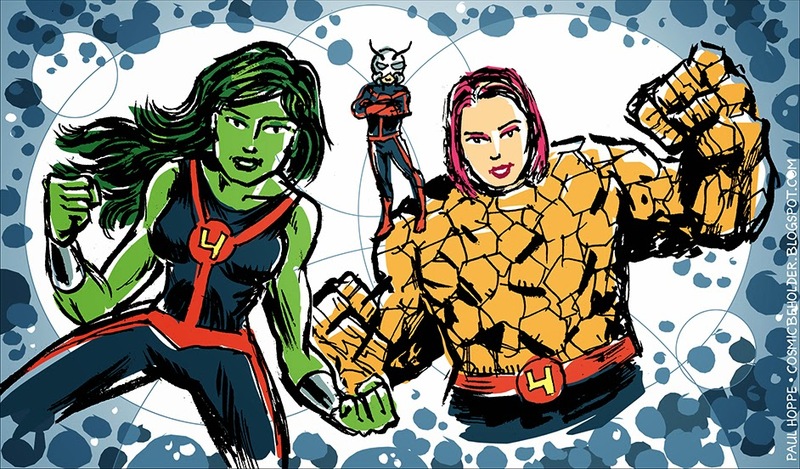 She used to be a second stringer, now she’s a super star in the Marvel Universe. 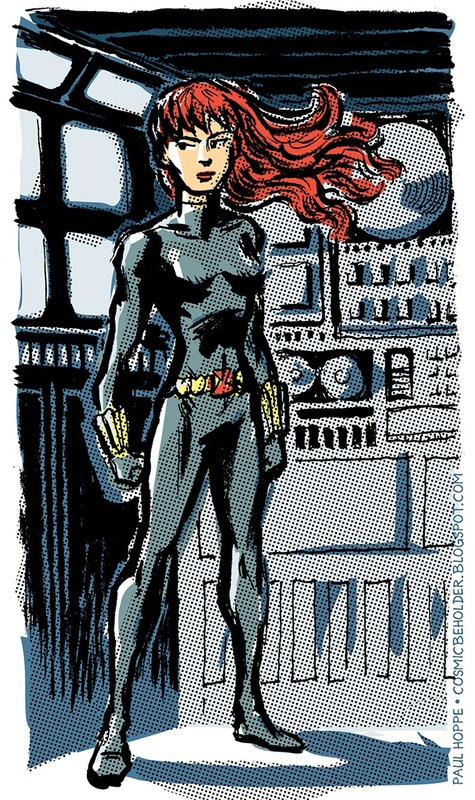 Inspired by the current Secret Avengers run by Ales Kot and Michael Walsh. 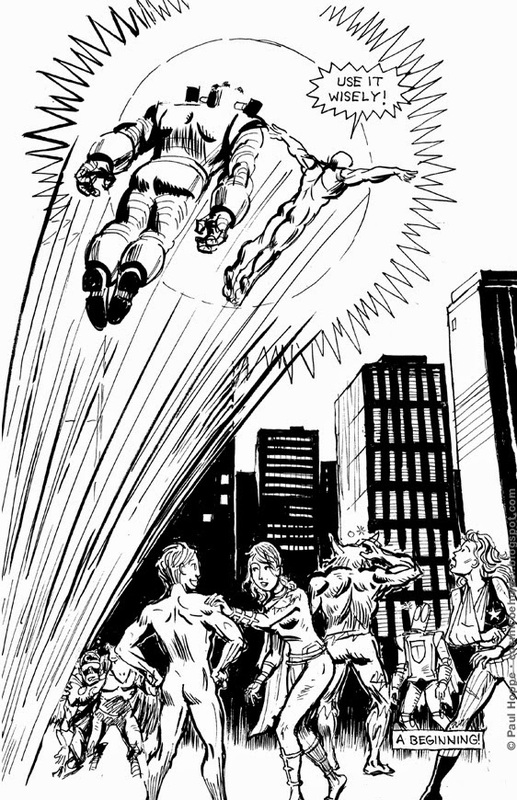 The FF (the backup team of the Fantastic Four) are back, (sans Medusa), in issue 4 of the current series. With all the rebooting and relaunching, it’s nice that the new writer incorporates past aspects of the series, even though it's in a more serious tone than what Matt Fraction and Mike Allred did with the team. Check out my MARVEL tag to see more pics of those guys. Now the entire Journey Into Misery 1-5 is online! Next week we're continuing with– Tales To Behold Chapter 4! But will we? WILL WE? "I’m Dawn Greenwood. And I’m gonna save you!" 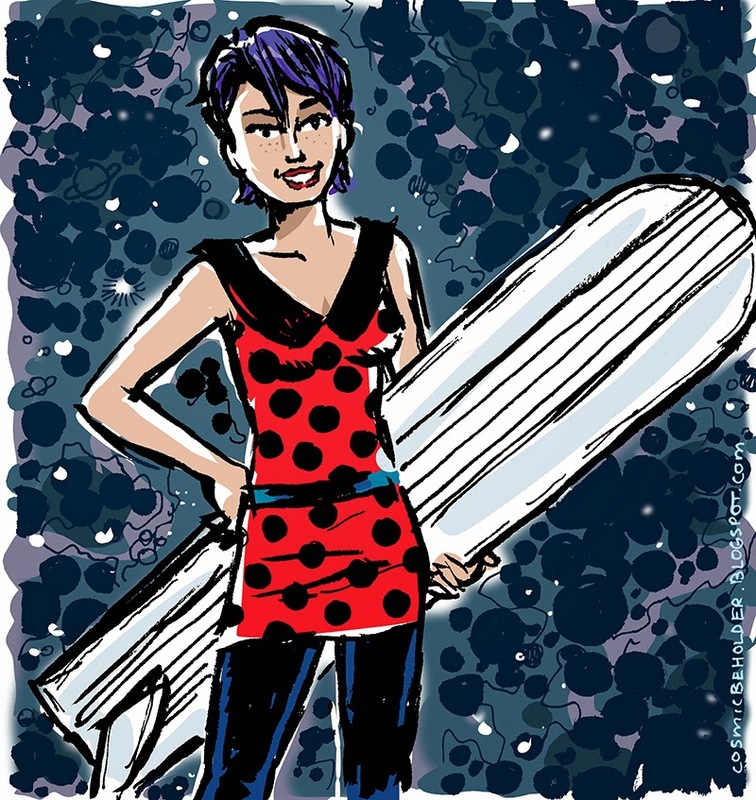 Inspired by Silver Surfer #2 by Dan Slott and Mike and Laura Allred. 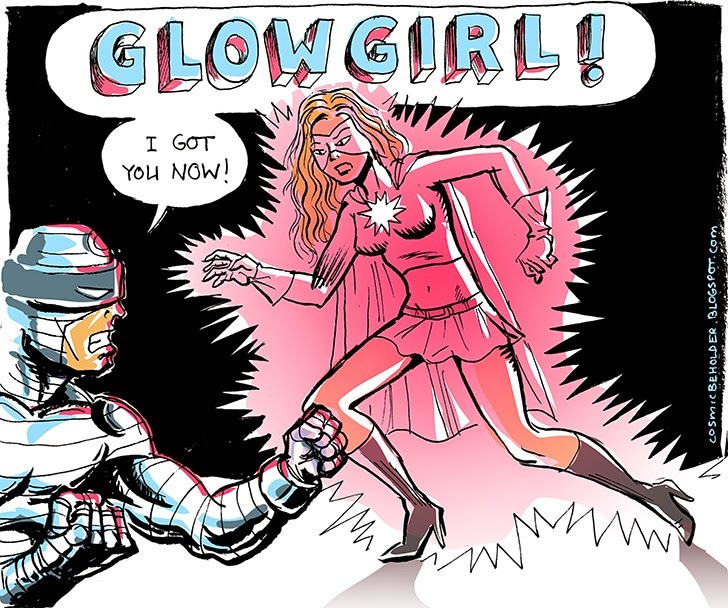 First time color study of Glow Girl! 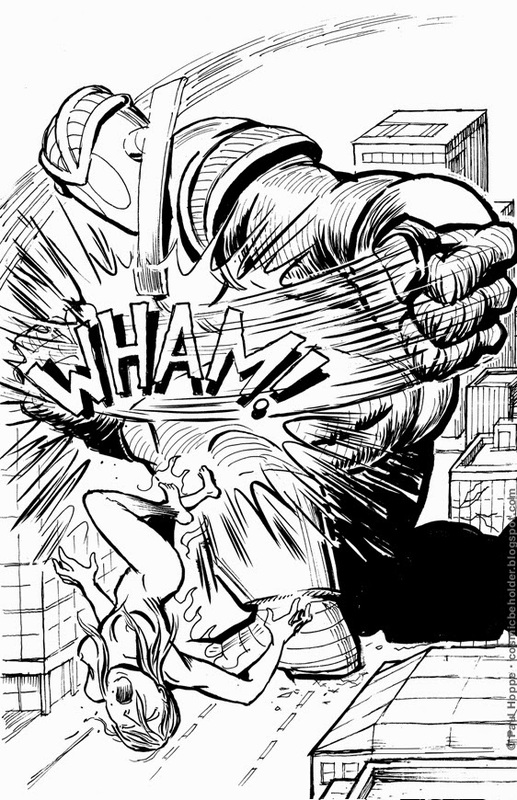 But during a crisis in Journey Into Misery 5, her usually useless super-power came in handy in halting the rampage of an indestructible alien robot. To share on tumblr, you can use this link. 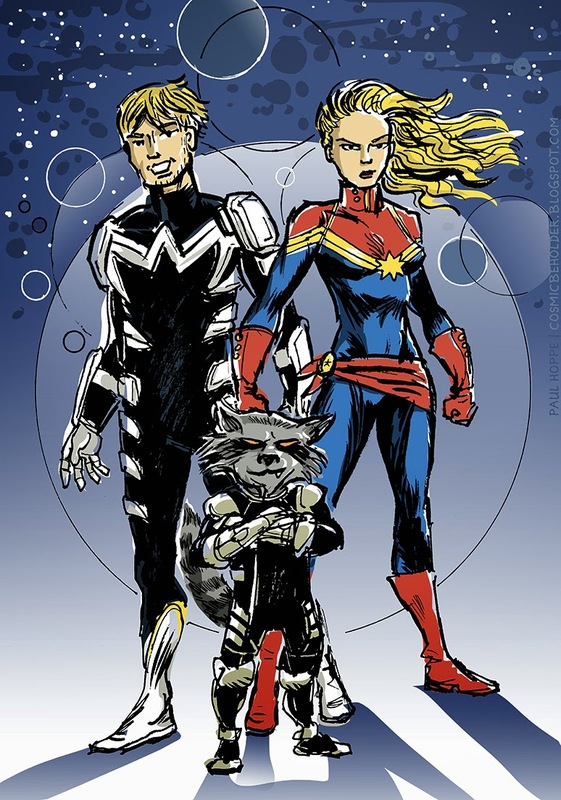 Captain Marvel's latest adventures are taking place in space, so of course she's running into the protagonists of the latest Marvel blockbuster movie– Guardians of the Galaxy. Here is my interpretation of two of them, Star Lord and Rocket Raccoon, with Earth Mightiest Hero. Kelly Sue DeConnick continues to write Carol Danvers in a fun and engaging way. 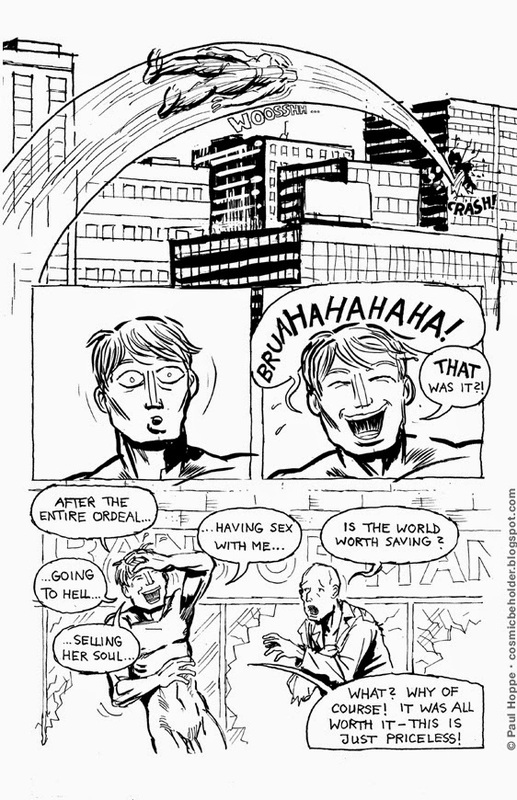 Journey Into Misery 5, Page 38: WHAM!